Why is it important to have a Harassment Policy and Procedure? It is critical for all businesses to have a policy that details how events of harassment (and bullying) are dealt with. Incorrect handling of harassment and bullying issues can often lead to legal disputes so having an easy to follow, compliant process is required. Our Harassment Policy and Procedure will detail, in accordance with best practice, all unlawful grounds for discrimination and harassment that include, but are not limited to race, ethnic origin, nationality or skin colour, gender or sexual orientation, age, physical characteristics and religion. Our Harassment and Policy and Procedure is fully up to date with recent changes to the Equality Act 2010 which repeals section 40 (Liability of Third Party Harassment) and is effective from 1st October 2013. 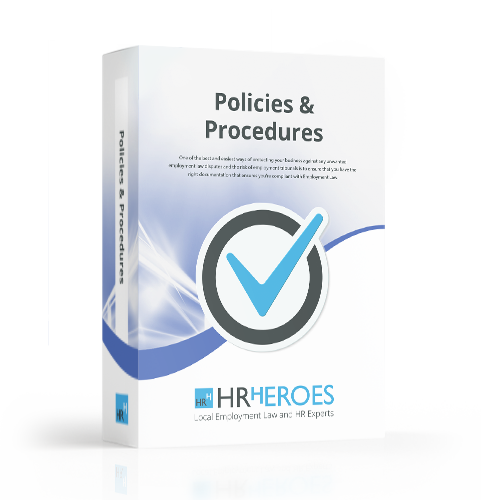 Our Harassment Policy and Procedure is easy to follow, will provide you employees and managers with a clear guide to demonstrate your commitment to protect your employees from harassment, how its managed and will help protect your business by ensuring you are in line with legislation.